During Mobile Fashion Week 2016, the runway revealed some of the recent beauty and hair trends that have been gracing covers of magazines and taking Hollywood by storm. Can these trends step right off the runway into ready-to-wear hair? Here is a dive into the mane trends from MOBFW. To break down my trend report for MOBFW, I am going to start with some major hair trends we saw at The Steeple on St. Francis. Click HERE to read more about The Steeple and its significance to the show. 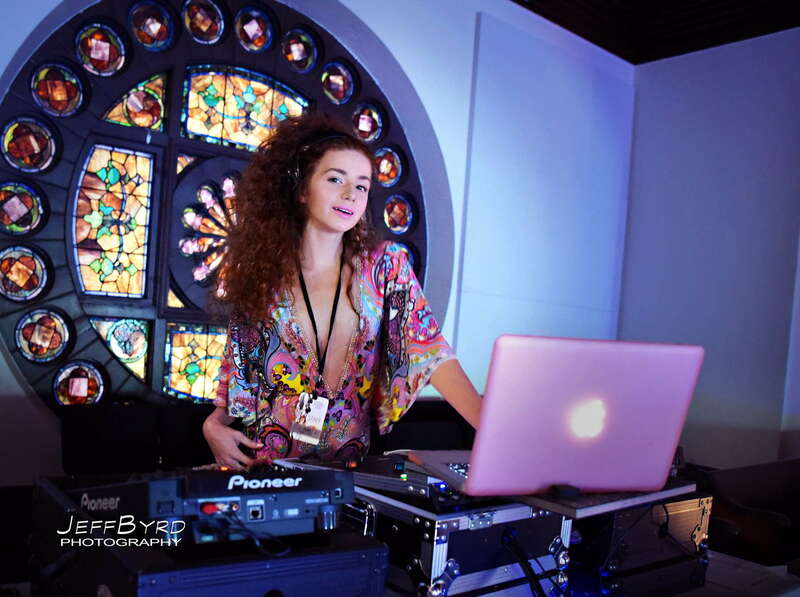 In order to properly do so, I must first pay homage to DJ Bella‘s fabulous mane. I would be delinquent as a purveyor of information of trending beauty as seen on the runway without first mentioning Mobile Fashion Week’s DJ. The girl knows how to rock those impossible-to-miss teased ringlets – standing out in a crowd and pulling it off with confidence, elegance and a sense of poise beyond her years. 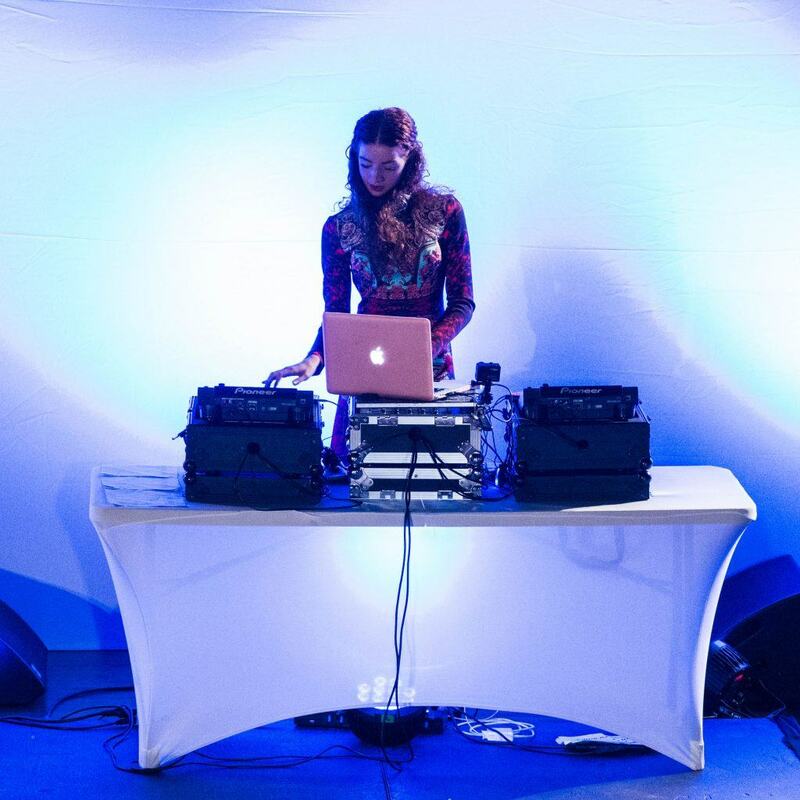 If you went to Mobile Fashion Week presented by the Mobile Fashion Council, you were able to hear for yourself how impressive her DJ skills are. However, that is not where her talents as an entertainer and influencer end – she also walked several runways the week after Mobile Fashion Week at South Walton Fashion Week in Florida. 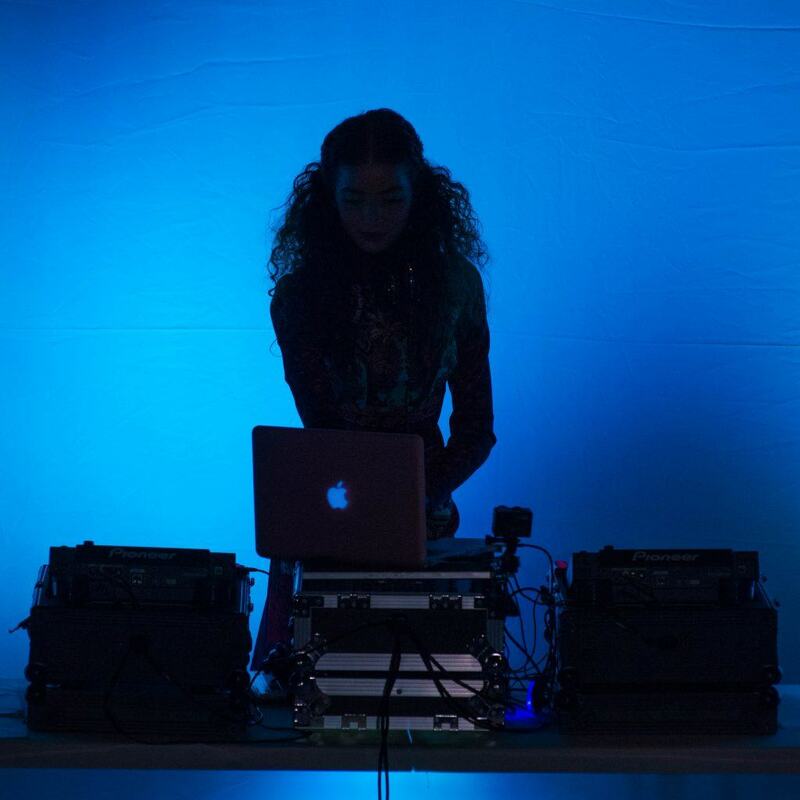 Isabella DeLeon (DJ Bella) was hand picked to to walk in Christian Siriano’s fierce runway show during SWFW, which is an amazing honor and testament to her talent to work with such an established, lauded international designer. She also participated in several others runway shows during the week. Impressed yet? 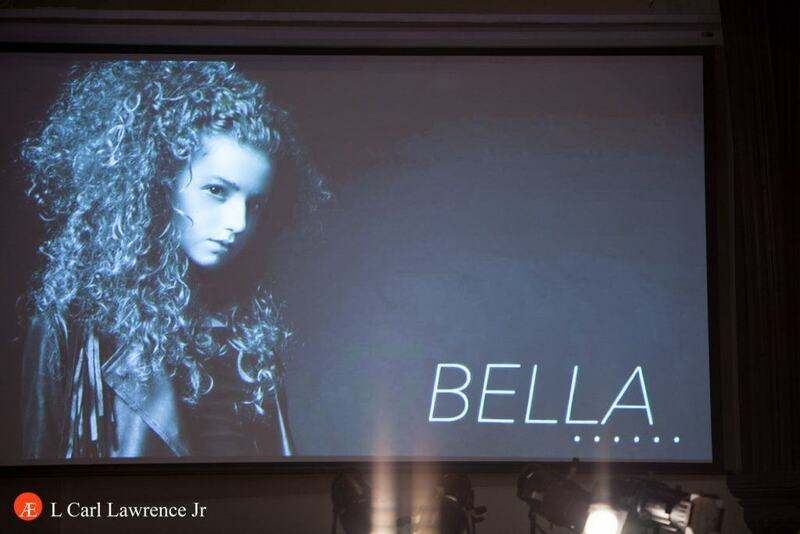 Here is the kicker – Isabella DeLeon won South West Fashion Week’s Model of the Year award! 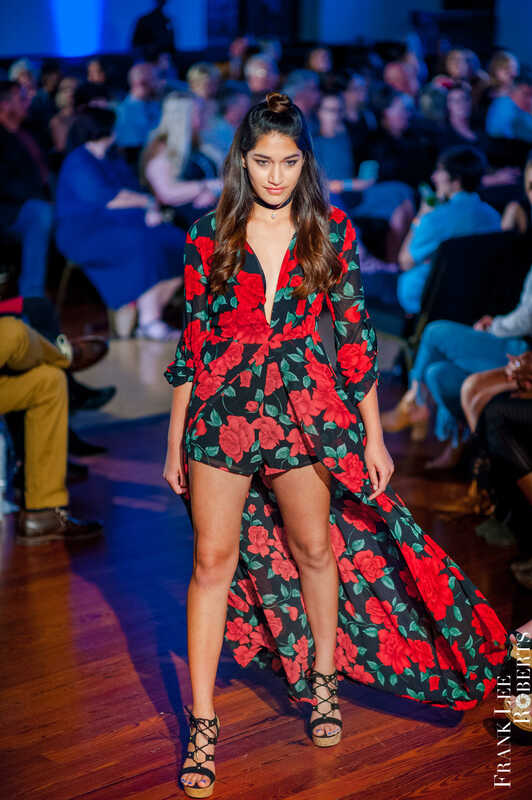 To say this girl rocked the Gulf Coast Fashion Scene these past two weeks is putting it mildly. 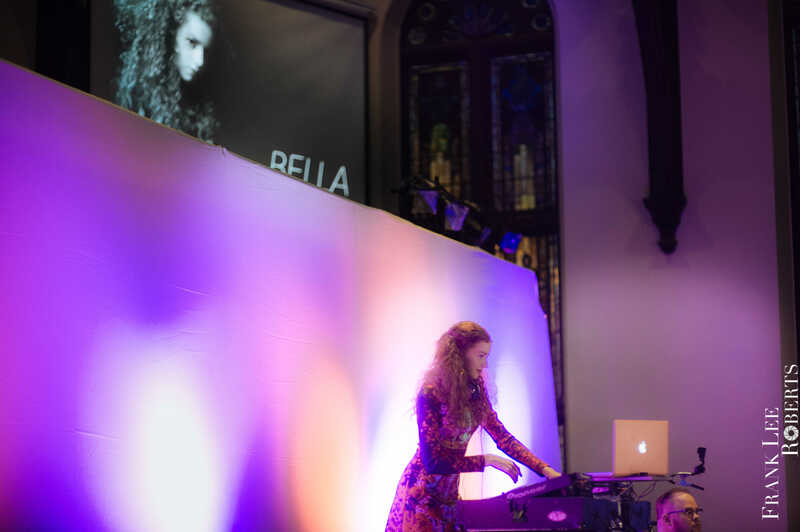 Isabella is already a true Renaissance Woman at the age of 17, with multifaceted talents and a cool-girl vibe to match. One of my favorite hair trends spotted on Saturday night’s runway was hair being styled back to expose each model’s face. Whether it was a simple deep part or a new take on the old pony, my top two trends revealed full faces while taking a twist on the not-so-original pony tail. My top two trends? The Top Knot and the Pom Pom Pony. When I mention “Top Knot,” I mean the chic pulled-back messy yet polished bun – not the piling of hair on top of one’s head in a really “I just woke up like this…and haven’t brushed my hair” kind of way. This unflattering take on the popular style lacks the demure of the true top knot. Even though the Top Knot style is made to look like you nonchalantly pulled back your luscious locks on a whim and the results just happened to be fabulous without looking contrived. If done right, the top knot will look organic and put together at the same time, giving you that “off-duty model” look that we see from Hollywood’s newest girl squads and influencers. 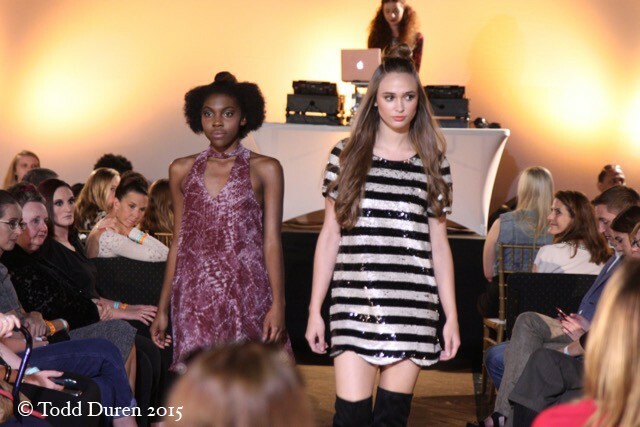 The two models in the slideshow below walking together are rocking Junior Scholarship Recipient Sarah Elise Terral’s collection. The fabulous red romper can be purchased now at Ruby Blue Boutique. I spoke with the lovely ladies at CK Salon to learn more about these two styles that rocked the runway during the night of the finale. CK Salon is a local trending full-service salon in Mobile that can be credited with the gorgeous hairstyles that were spotted during MOBFW16. 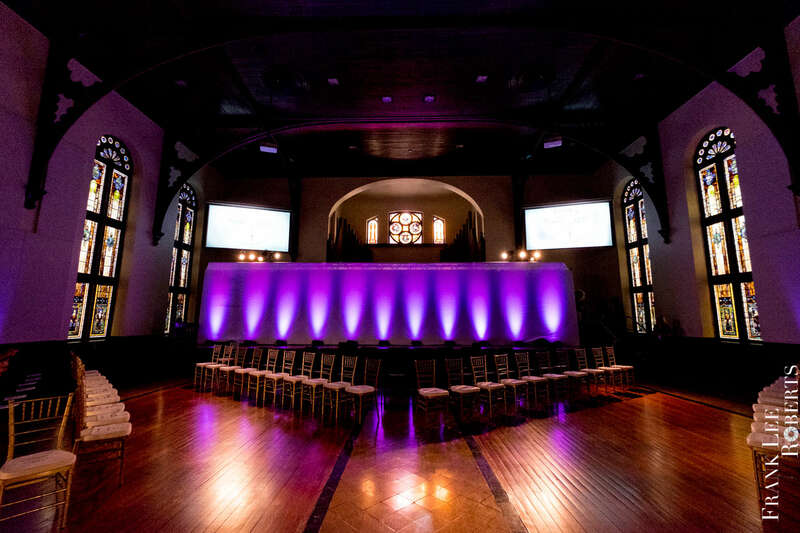 All the CK Salon stylists stay updated on all new trends and concepts and you can spot their work both locally and regionally – which is why CK was the perfect choice for this trendy event. The CK sisters let me in on the two hair trends that I fell in love with while watching the shows. Naturally, they have been super busy with business at their salon, but Christin and Krystal were kind enough to take some time to chat with me about these trends that took over the finale. The salon owners talked to me about the plethora of factors that play into the hairstyles that are chosen for the runway. Girls walking for multiple designers and boutiques had to transition from one look to another in a matter of seconds. So time was of the essence. One solution? The Pom Pom Pony! The outfit below may be purchased at Bottega Collection. But only if I do not get to it first! “The Pom Pom Pony is simple and elegant because it’s slicked back and out of your face but the Pom Poms add a little flare to your every day pony tail. This look is perfect for a day in the office and transitions well into night.” The girls explained that this look is “super simple to do,” and I have to admit I was a bit skeptical about the ease of creating this look on my own. I tried this look, and while I need to purchase some clear pony tail holders, I actually did a pretty good job. The CK sisters were right – this is super simple and easy to pull off. The end result is very chic and sophisticated, but fun, It is definitely a look to go for when you need to pull your hair back but do not want to look basic or for when you are feeling particularly sassy. The blonde’s outfits can be purchased from The Wandering Lilly. For the full-on Top Knot, simply pull all of your hair into the pony tail, tease, twist, and pin! And hit up Polish Boutique to purchase the two outfits below! And, in case I am not cool enough to convince you to rock these hair trends seen gracing models during Mobile Fashion Week, “the Kardashians are known for these two looks. You’ll see Kendall wearing the Pom Pom pony all the time and Khloe is always in a Top Knot!” – as told by Christin and Krystal. Although styles may trickle down a little more slowly to the South – the Top Knot trend and the Pom Pom Pony appear to be here to stay – and here to slay. 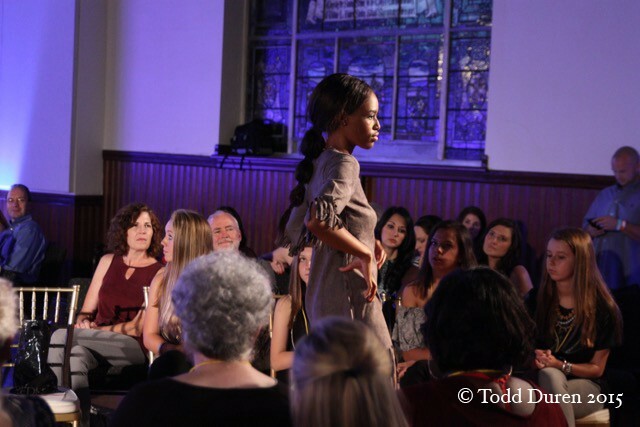 Stay tuned for more reviews from Mobile Fashion Week and South Walton Fashion Week – coming soon! A huge THANK YOU to the Mobile Fashion Council, headed up by Richard McGill Hamilton, for such an amazing fashion week in 2016! I cannot imagine how much hard work goes into pulling off an event like this so flawlessly. Thank you for what you do for the community and for some amazing charities year after year. “THIS EVENT IS PART OF AN EVEN BIGGER DEVELOPMENT ALONG OUR GULF COAST, A MOVEMENT OF FASHION FORWARD THINKING AND CREATIVE OUTREACH. 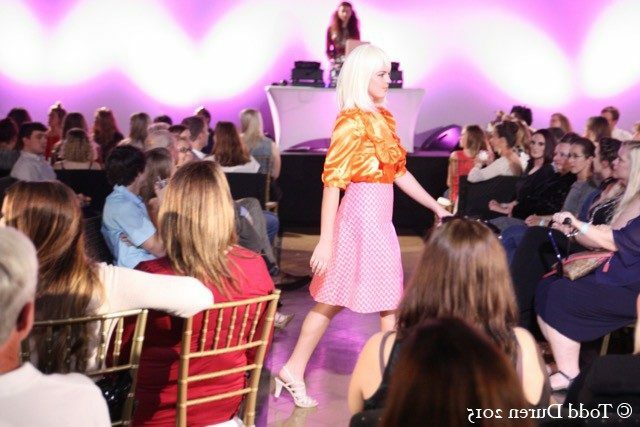 MOBILE FASHION WEEK WAS BORN FORM THE IDEA OF “FASHION WITH A CAUSE”. 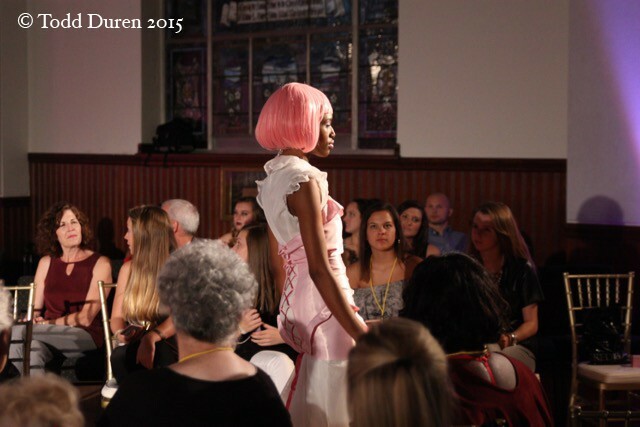 THE CONCEPT WAS SIMPLE: BRING EVERY FACET OF THE FASHION INDUSTRY TOGETHER TO SUPPORT A LOCAL CHARITY. FROM MODELS TO DESIGNERS, MAKEUP ARTISTS TO HAIRSTYLISTS, AND EVERYONE ELSE IMAGINABLE IN BETWEEN. LET’S BRING THEM ALL TOGETHER TO SUPPORT CAMP RAP-A-HOPE. A PERCENTAGE OF TICKET SALES AND SPONSORSHIP DONATIONS ARE DONATED EACH YEAR TO THE WELL KNOWN CAMP FOR KIDS WITH CANCER. This event truly is about community and helping others. I was honored to attend and be part of such a major movement – one in which I can feel the energy of growth and success building very quickly. Thank you to all the selfless individuals who make this a success! Stay tuned for my next post about MOB Fashion Week Beauty: Makeup. I will also include information about the charities that Fashion Week sponsors and everyone who is involved in this entire production. Special Thanks to the following Photographers for providing Images to the Media that are featured in this post: Jeff Byrd, Frank Lee Roberts, L Carl Lawrence Jr., and Todd Duren. Your work is fabulous!! 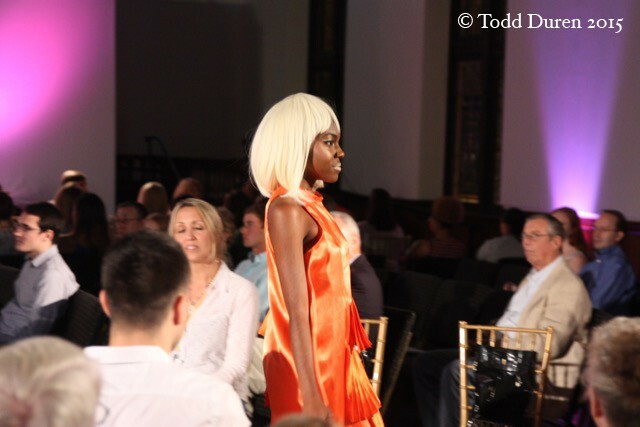 I love this bold POP of COLOR that Shelby Rider used with wigs during her runway show. So fun!